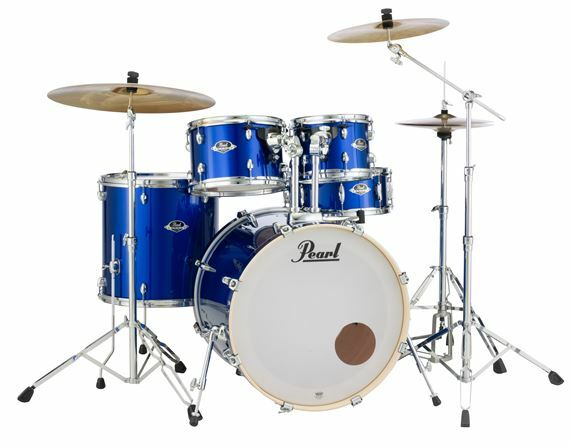 Shop Pearl Export 5 Piece Drum Set With Hardware from AMS with 0% Interest Payment Plans and Free Shipping. 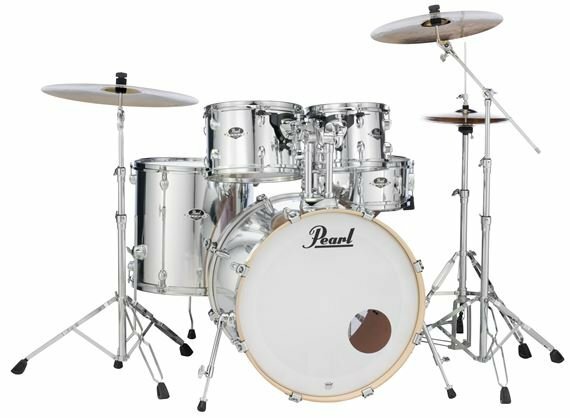 The Pearl Export EX725SPC 5 Piece Drum Set was the best selling drum set in history, and its finally back! 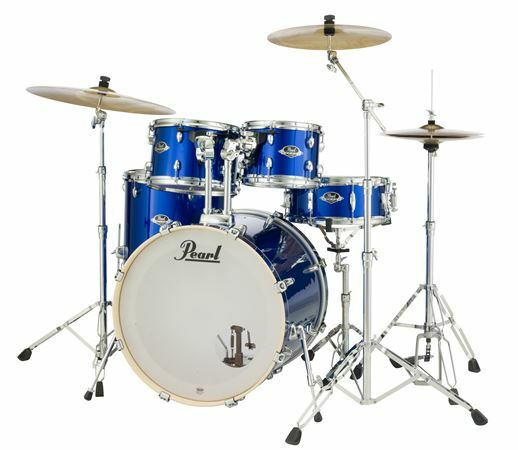 The return of the Export series automatically puts Pearl back on the map for the best sounding entry level drum set. 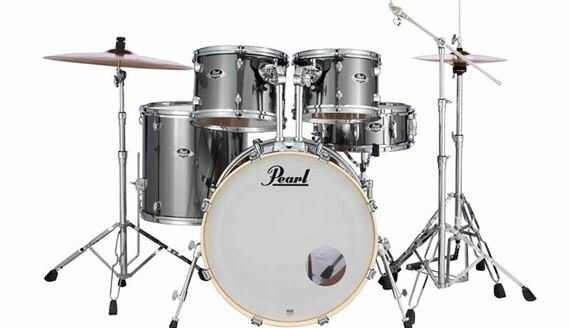 The new Export sets use Pearl's SST, Superior Shell Technology, Opti-Loc tom mounts, all new HWP-830 hardware with a P-930 Demonator pedal, and your choice of finishes. 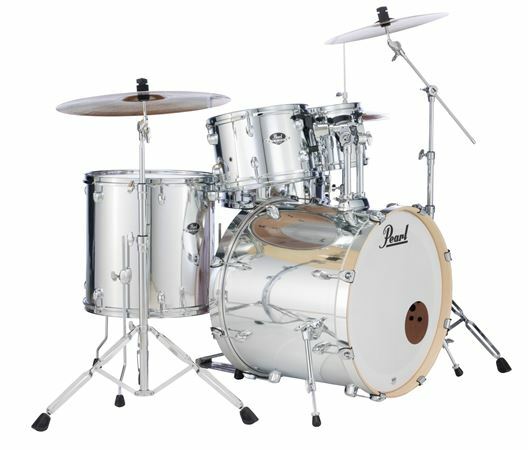 The Pearl Export Lugs have a bold modern look that has a slightly mixed look, giving tribute to Pearl drums of the past. In the pursuit of maximum resonance and sustain, Pearl Export's lugs have a low mass and minimal shell interaction. The new Opti-Loc mounting system gives you perfect stability without restricting the resonance. The mounting system has a triangular design with two available attachment points for tension rods. There is another tension rod mounting point in one of the drum's two air vents. 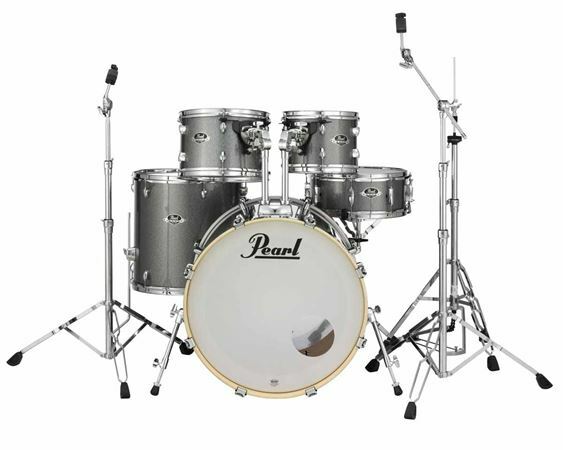 For maximum sustain and wobble free performance, Pearl has put rubber isolators at all connection points, allowing the drums to vibrate freely. Sound quality cannot be sacrificed, and with that policy in mind, Pearl blended premium poplar with rich Asian Mahogany for a full-body, deeper and richer sound. 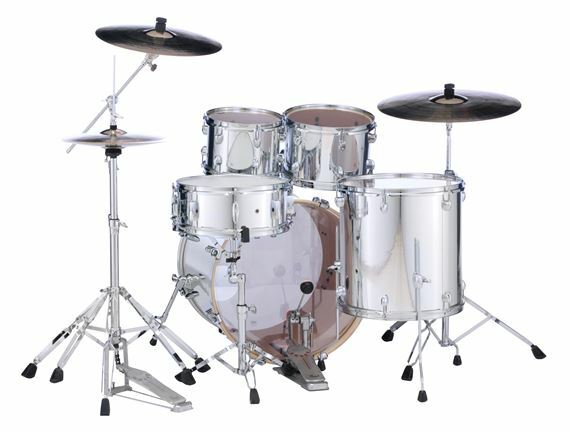 This shell puts the Pearl Export in its own class because of the expert arrangement of premium plies of wood. 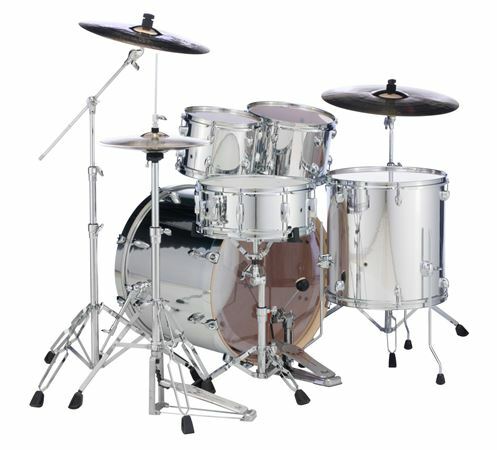 All Pearl drum shells are formed through the SST process, requiring extreme heat, precision cut scarf joints, Acoustiglue and over 1000 pounds of hydraulic pressure. Great sound love it ! 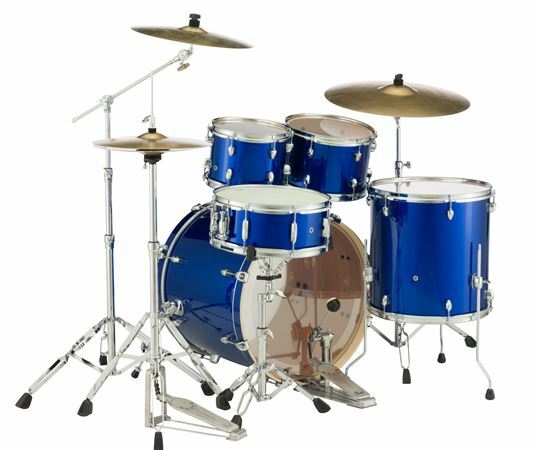 Buy new heads and with a good tune this kit sounds very nice. Hardware is also nice and sturdy. Just add cymbals to complete this price right kit. Great quality, I am very pleased with them. Our drummer loves the new drums set we purchased for the church. He really rocks out on Sundays and these drum have held up to his playing style. Very sturdy puts out a good quality sound. Exceeded expectations. Fantastic set, sounds great, would buy again - no question about it.